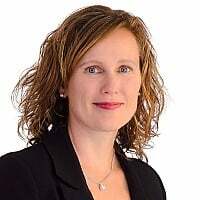 CoreHealth Technologies and GO Online Wellness have recently partnered to provide a complete wellness support package for Workplace Wellness customers using CoreHealth's Corporate Wellness platform. We are excited the Go Online team has joined our Wellness Network of partners, innovations and apps that can be mixed and matched to help you deliver engaging and exciting wellness programs. Is your organization’s Corporate Wellness team short on time and/or resources? Need inspiration to offer unique, creative and engaging Wellness Programs? Do you have in-house wellness resources but not the technical know-how? If you answered YES to any of these questions, then the services of GO Online Wellness may be just what your organization needs. Reduces your Workload – GO Online Wellness Specialists are Certified CoreHealth Website Managers providing first tier administrative support to corporate clients using the CoreHealth platform – perfect for those organizations with minimal in-house technical talent. Tailors Options to Match Your Needs – GO Online offers a range of support from a single challenge with Go! Lite through to the more comprehensive GO! All-In which offers complete wellness portal design and support – flexible options tailored to your needs. 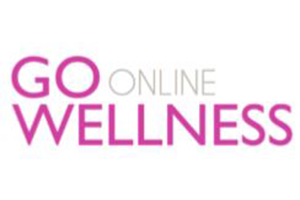 Provides Creative Custom Designs and Content – GO Online develops custom graphics and creative content for wellness challenges - helpful for organizations short on time or the in-house resources to deliver. Regardless how much or little support you need, GO Online Wellness is here to help! GO Online’s objective is to meet any client’s wellness needs to make sure every experience with CoreHealth's Corporate Wellness Platform goes smooth and successful. For details, check out their network profile, the GO Online Wellness website or contact a GO Online Wellness Specialist for Pricing at 843-608-8694.